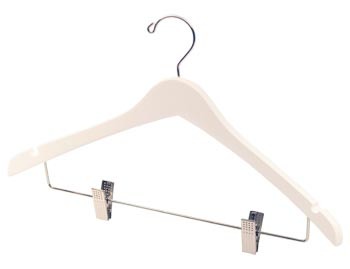 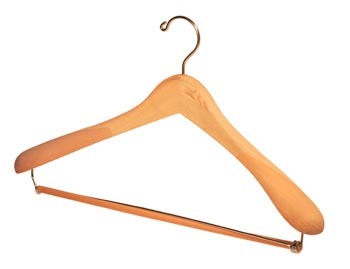 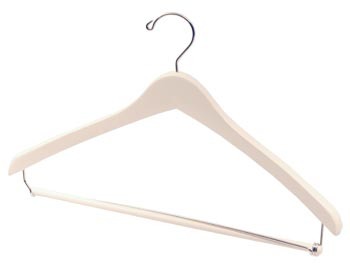 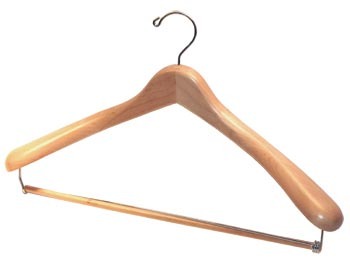 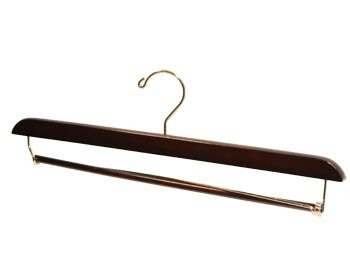 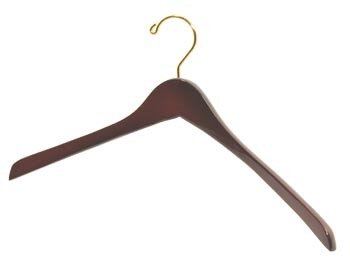 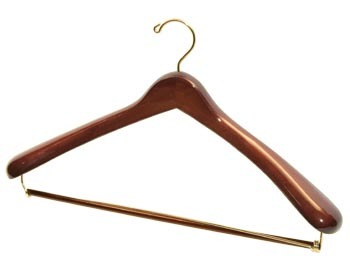 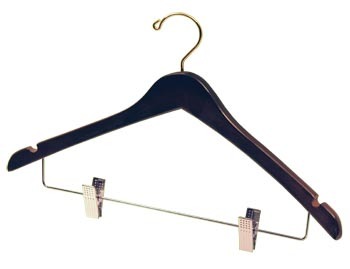 Hanger Store provides high quality wood suit hangers with a lock drop pant bar that are great for holding complete suits with a jacket or shirt and pants or skirts. 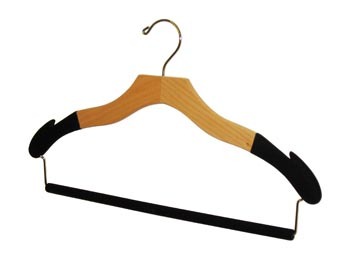 These premium wooden closet hangers come in an 18.5" size, or 17" Cedar, are made from thick Natural Hardwood and have a contour design with a 1" thickness at center expanding up to 2" at the flared ends. 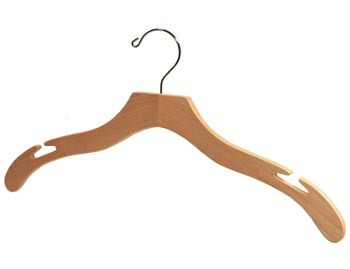 They fit most standard and oversize mens and womens sized suits, coats, jackets and dress shirts with extra wide sholders for large clothes. Currently available in clear blonde, natural cedar or stained walnut brown finish. 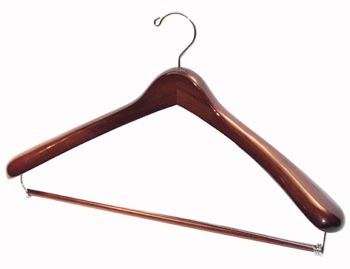 We also offer Wooden Suit Hangers and Custom Suit Hangers.